In Q2 2013, 34 million tablets shipped worldwide, representing a year-on-year growth of 43 percent. Breaking down those numbers by operating system, Google’s Android dominated with 53 percent share, surpassing Apple’s iOS and its 43 percent slice. The latest estimates come from Canalys, an independent analyst firm which says it stakes its reputation “on the quality of our data, our innovative use of technology, and our high level of customer service.” The data varies quite a bit from what Strategy Analytics released earlier this week, although not enough to affect the order: Android is first and iOS is second. 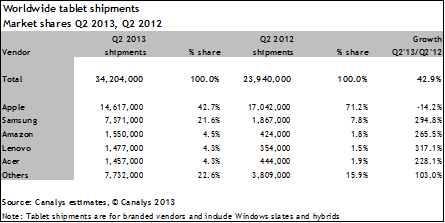 Tablets accounted for 31 percent of worldwide PC shipments, according to Canalys. While Apple’s tablet shipments declined 14 percent between Q2 2012 and Q2 2013, competitors Samsung, Amazon, Lenovo and Acer each grew annually by over 200 percent, largely driven by an increasing demand for small-screen tablets. In fact, Canalys believes it is exactly the shrinking size of tablets that has put Android ahead of iOS, even despite the introduction of the iPad mini. The firm estimates 68 percent of tablets shipped in Q2 had a screen size smaller than 9 inches, allowing for lower costs and aggressive pricing. Apple’s recent iPad shipment decline has been well documented, and the blame is largely put on an aging portfolio: a new iPad mini is due. This begs the question: will updated products boost demand again? 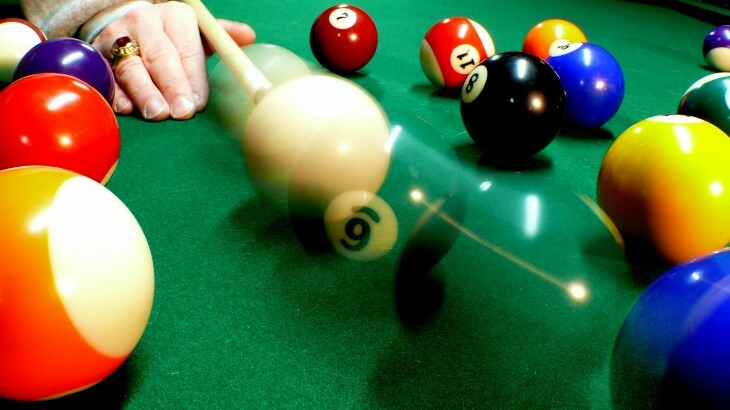 In other words, we’re in a tablet price war, and Android makers currently have the upper hand. Nevertheless, since margins for smaller tablets are minuscule, almost all the money is in content, apps, and accessories – as Canalys points out, Apple is still king in all three, at least for now.